For a boat slip with a 144” (12’) space between the pilings, can the guides on the boat lift be adjusted to handle a boat with 138” beam? Is that enough cushion or do you need more width between the pilings for a boat with 11’6” beam? Is it 144" (measured) inside to inside of the pilings or is it 12' center to center? No matter what it would be very tight even for someone that is great at handling their boat. I would think not. The guide poles themselves are usually 2" diameter, not counting the upright brackets that have to be bolted to the cradle beam at the base. You can maybe force the boat on there, but with 3" clearance per side and 2" of that being a guide poleundermtension, you're down to 1" clearance per side. You're going to thump the boat around pretty good loading it.im guessing an 11'6" beam is maybe 14-15k lbs? You may want to also check the weight capacity of the lift. Do you have wind and tide to deal with, too? That won't help you, either. The 144" is inside the pilings, not centers. I'm also not sure how close you would want the guides to the rub rail. What would be the ideal spacing. . .
6 inches means 3 inches per side (if done perfectly) to spare. IMO that isn’t enough. 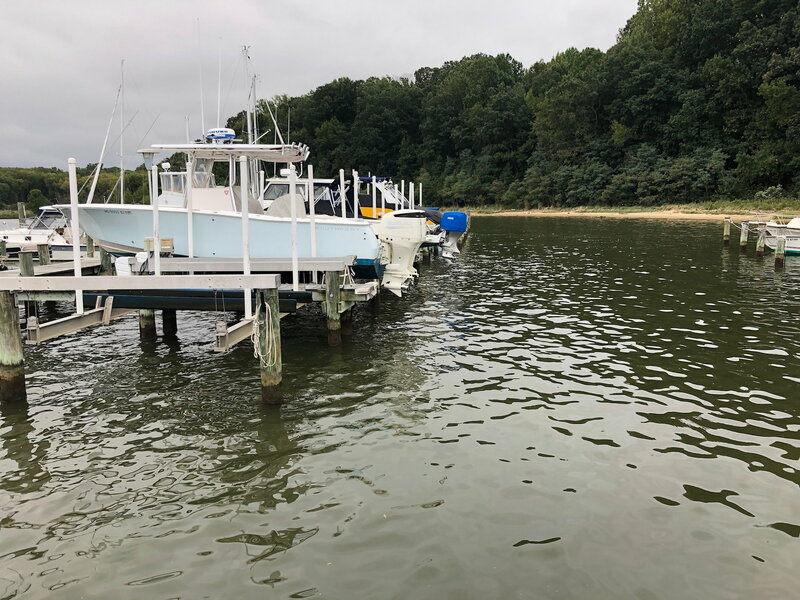 Even if the guide poles are 2 inches with one inch to spare on either side, you will likely sway the lift cradle coming on the lift with the boat so the boat could hit on either side. I just measured my lift and I have 11’ On the inside of the pilings. My boat is 9’6” and that barely gives me enough wiggle room to get her on and off the lift. The boat has to be straight coming on the lift. 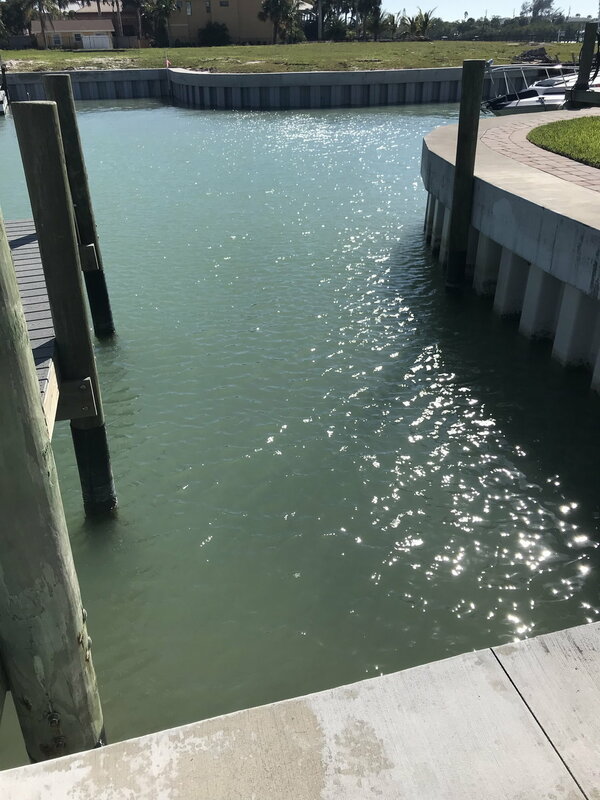 You could possibly forgo the guide poles, as the pilings themselves would act as guide poles with only 3" of space on each side. My guide poles are around 2"-3" from my rub rail. Your limiting factor could be the space between the lift motors. Plate drives would not be an option with only 3" of space on each side of the boat to work with. joe.giuliano and Texas 17 like this. ^^^^ This. I am not sure why there is a perceived problem with rub rails touching pilings... that is what they are for. Come in slow, and the pilings will guide you on nicely just like the PVC poles would otherwise have done. My current lift is set at 10' beam and my boat is 9'6" at the widest point. I have no issues. The motor width issue doesn't affect me because the beam at the transom is less than the 9.6" (which is common), and so the boat can be lifted up between the motors even though they are inside of the 9'6" width of the boat. The tide is never high enough to put them in play during loading and unloading. This is actually a good point. I'm looking at my lift now, and the pilings are shorter than other lifts on my canal. My boat lifts high enough that the rub rail can actually be lifted above the motors. Looking down my canal at the lifts with taller pilings, all of the rub rails are below the motors, so unless you have an unusually high tide swing, the motors may not even come into play in the OP's case. If you mount the motors on the bow end they probably clear anyway. I am buying the lift so capacity will not be an issue. Just want to be sure there is enough adjustment to handle a boat with that beam. That's encouraging. 6" Nice. . .
Have you looked into the one-sided lifts? Not sure what they are called, but around our canals I see quite a few of them. One lifts a pretty big Bertram sporty. I think you're referencing what is called an elevator lift - as opposed to a 4-post lift. Would an elevator lift work? A buddy of mine has a big center console and the pilings are the guide poles! He makes it look pretty easy to dock it, but he's used to it. He bought a high speed lift and holy crap is it fast, 3 or 4 times faster than either of my lifts. It's maybe 30 seconds from pushing the up button to having the side door of the boat level with the dock! As said above its easy enough you don't need the guide poles as the pilings will be your guides. Only thing you wouldn't be able to mark then is how deep the lift needs to go to get the boat off and on but you could get creative with a small depth guide up front if needed or if you have plenty of depth you can just always go deeper and bring it up to the boat. but maybe. Have you asked for prices? Bet you could get some free expert advice. rocksandblues I was thinking the same thing on the PVC sleeve over the piling. Plus the PVC pipe will probably act as a roller when the boat rubs up against it. I think an Elevator lift would work better in this situation.